Ecco the Dolphin creator Ed Annunziata is working on Space War Arena for Switch, which we've covered in the past. While Annunziata enjoys creating something brand-new, he still has a desire to return to the title that made him famous. In an interview with Nintendo Life, Annunziate opens up about his desire to create another Ecco the Dolphin, and also plans to port some of his other classics to Swich. One of the OCD characteristics of my personality is I never give up! When I was trying to convince Sega about Ecco the Dolphin it took me years to get them to bite. There are some challenges I need to overcome but eventually, there will be a new Ecco! Also, I am trying to find a way to port our Saturn game, Three Dirty Dwarves, to the Switch. I think that's an excellent game for the platform. Also, if I have it my way, modern versions of Mr. Bones (Saturn) and Tiny Tank (PS1) are heading over to the Switch someday! Please do whatever you can to make it work. No series quite like Ecco. Always enjoyed the Genesis original and the Dreamcast game wasn&apos;t quite as good but decent... certainly a technical showpiece at the time. I&apos;d like to see it return but I wonder if there is much interest. I know the creator tried to launch a spiritual successor Kickstarter a few years back and it bombed. And Sega won&apos;t even revisit a lot of their other old beloved properties, so I wouldn&apos;t hold my breath on Ecco. YEah, I remember that. It was sad. I didn&apos;t experience Ecco when it was new (the Mega Drive was way before my time (~_~)) so the aged gameplay never gel-ed with me. That said I&apos;ve been long fascinated by how it got made. 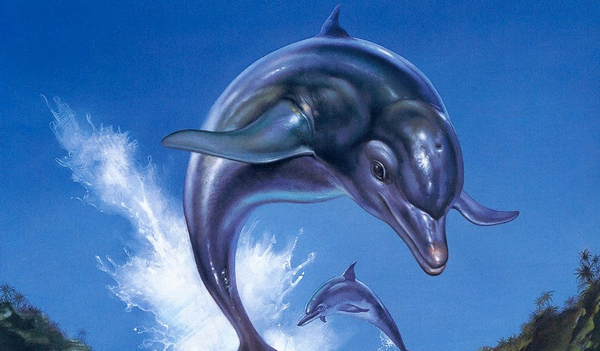 Can you imagine someone going to one of the Big 3 today and pitching the concept of a game based on a guy&apos;s experiments in using LSD to try to talk to dolphins? And it actually getting greenlighted? Good! It&apos;s about time echo made a comeback!